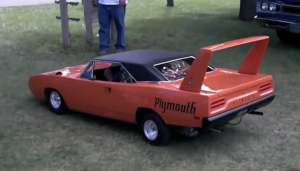 Just a list of some of the smallest, most insane vehicles that actually exist in real life! Check out this list now! This is the world’s smallest helicopter, inspired by the cartoon Doraemon. It’s not for sale and it costs a lot to make, but it looks pretty cool to ride! This little guy has an airframe that is a unibody construction made of fiberglass. 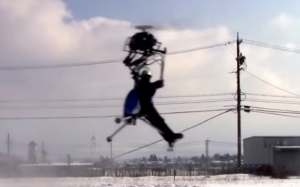 It is well designed to minimize weight and can go up to 85 mph and is capable of flying for up to 4 hours. 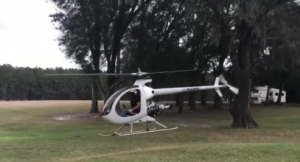 There is also the Mosquito XEL which is the upgraded version and can go up to 80 mph! 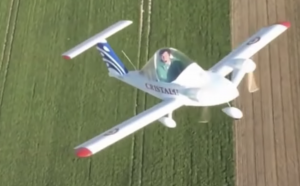 This is the smallest twin engine band aircraft in the world. It’s designed by Michael Colomban, who is a French Aeronautical Engineer. It is 5 meters in length and just under a 5 meter wingspan, only weighs 87 kilograms, and can reach up to 255 kilometers per hour. What’s interesting about this one is that it’s fans can be modified into dual jet engines! How cool is that? 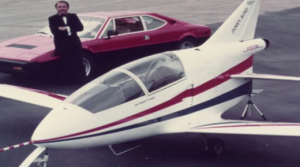 This one looks like a space shuttle, but is actually the world’s smallest jet! It’s even got a reputation to be James Bond’s jet. It only has a wingspan of 17 feet and is powered by a quantum turbine engine. This little jet can reach up to 320 mph!! 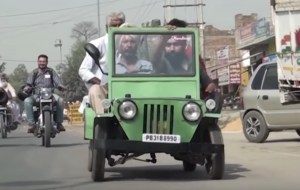 The smallest jeep that was built to help physically disabled people around the world! There are now other small jeeps of different sizes and can really be some fun! This is probably the smallest bike around. 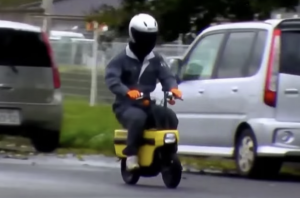 It is a folding scooter sold by Honda and it only weighs 45 kilograms! It has a compact suitcase size case which can be transformed into a bike by unveiling the handle and tightening the handle into its proper place. Even though it is tiny, It is capable of reaching 30 kilometers per hour! 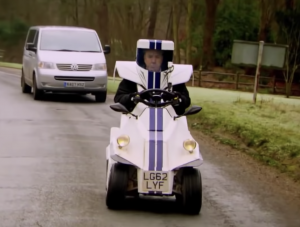 This is the world’s smallest car! It’s handmade from scratch made of fiberglass sitting on a go kart chassis. It’s about half the size of a regular car, only 9 feet long, made with all the details to look like a real car. You can even enter it through the door! It kind of looks like a robot police car! It’s so tiny it can fit in an elevator, but don’t worry, it can actually run everywhere on the streets. Even though it’s roof protection looks like a helmet, it does have a solution to clear the rain, so don’t worry about that! Also, traffic is no longer a problem, since you’re so tiny! Goodbye traffic! 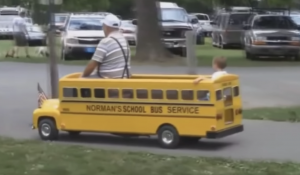 Kids don’t really like to go to school, and they definitely don’t like taking the bus, so maybe this is a creative way to get your kids to school! The mini school bus is like one of those train rides you pay for at the pumpkin patch! Now, this increases attendance in school and kids are happy! It’s a win-win solution! This is definitely unique. It’s got a metal body design with a long trolley that you can load onto! It’s got a lot of wheels, but can still maneuver easily. It can accommodate up to two people it the cab, with a lot of space for the driver! 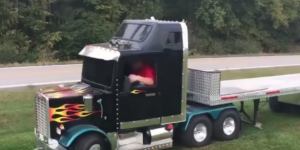 If you don’t believe just how tiny these vehicles are, check out the video to see them in action!